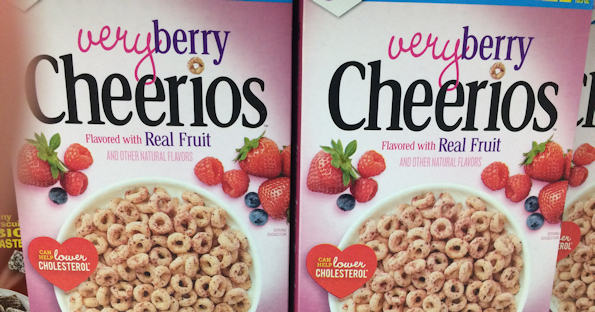 Score fives boxes of Very Berry Cheerios Cereal at Target with coupons and gift card offer. This week when you buy five boxes of General Mills cereal you will receive a $5 Target Gift Card. Combine this offer with coupons to score five boxes of cereal for only $1.04 each. Don't forget: Use your Target RedCard to save an additional 5% off of this purchase or any purchase made at Target or Target.com. Don't have a RedCard yet? Apply here.